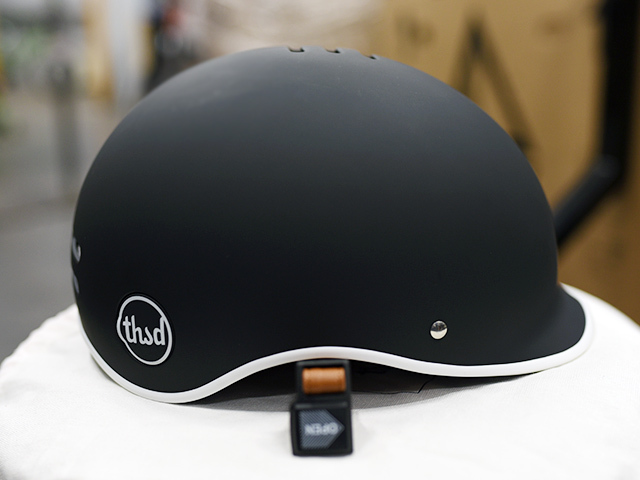 The story behind Thousands’ helmets is actually more than you would first expect. We all have those friends who don’t wear helmets because they look silly in their mind. Gloria’s friend was one of those people. After the loss of her friend through a cycling related accident, Gloria decided that something needs to be changed. She collaborated with her friends and started Thousand helmets – a helmet that you actually want to wear. In 2015, Thousand was first funded through Kickstarter. They received a massive $229,000 which was way beyond their modest $20,000 goal. It just goes to show that the inspiration from Jack Kerouac’s travels were liked by many! I decided to test and review this product due to Thousand’s unique approach towards helmets. When unpacked, the helmet by Thousand comes out of a solid fabric bag. You might want to keep and use the bag to transport your helmet as it is quite nice. I didn’t have this luxury with my Bell mountain bike helmet, and after 2 years it is quite scratched from transport. You also get additional padding which is slightly thicker than what comes in the helmet. You might want to use this if you feel the need for extra cushion. The padding does not vary the sizing much but it might be just enough to get the perfect fit. You will also find the owner’s manual inside of the box, which is for informational use. There are currently three different collections: Heritage, Epoch, and Premium and all together there are 7 different models. I’ll cover those below. I picked the Carbon black from the Heritage collection to match my State Bicycle Co, which is also matte black. The first thing you’ll notice is the detailed minimalistic design. Mine has solid matte black color with a white stripe around the edge. The coating is rubberized and the overall look is decent. All of the Thousands helmets have brown leather strips. I checked the other models too and it is stylish on every one. This slightly hipster look goes with all clothing. 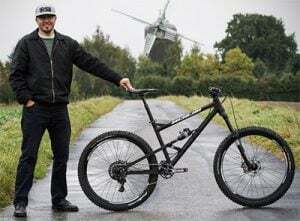 The only downfall is that you might find it funny to where when seriously riding road or mountain bikes, but that isn’t what it is meant for anyway. The inner layer is made of dark foam plastic and it is glued to outer layer. 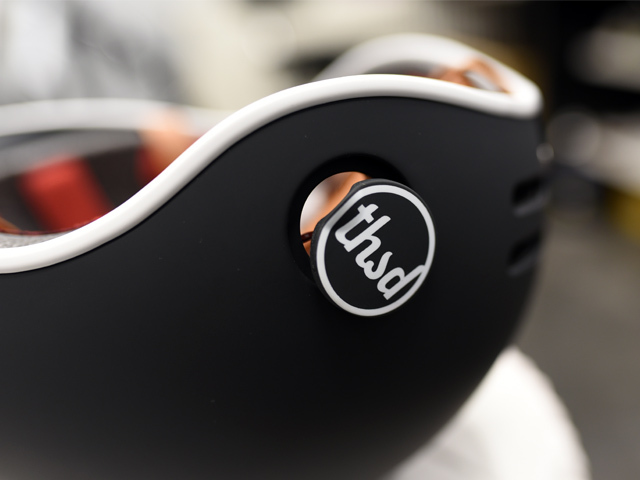 Thousand’s helmets have cooling channels on the top and back. This is something that most similar “eggshell” helmets don’t have. Discrete Secret Poplock with magnet. 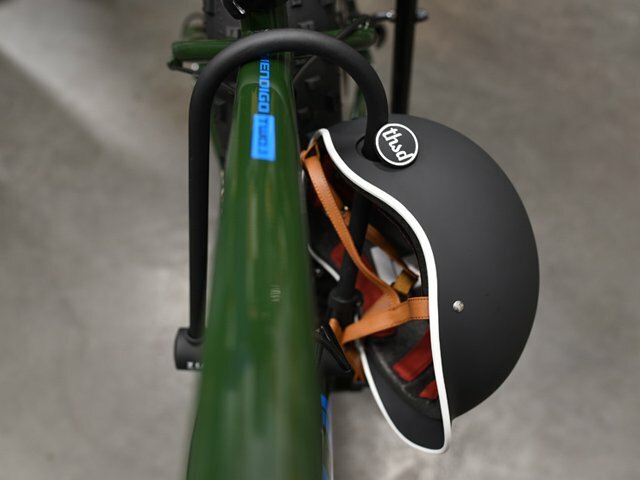 The big idea behind this helmet is the fact that if you’re a not a helmet fan, you can be discrete. There’s a small hatch with magnets on the bottom right of the rear side of the helmet. Probably not because it looks like it’s the logo (and it is). 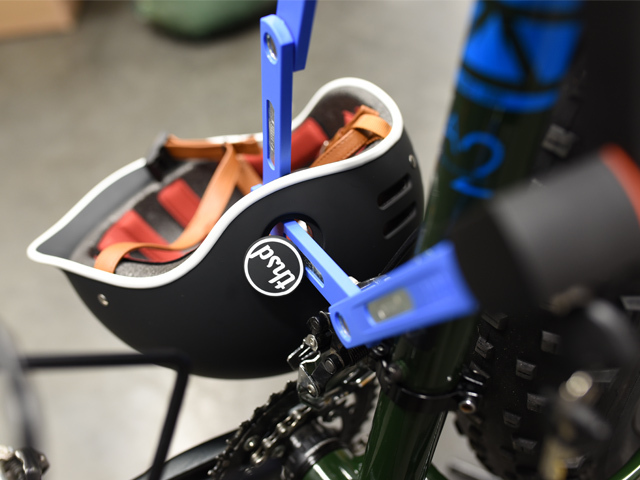 It is attached with a rubber band and you can remove it so you can attach the helmet to your bike lock. 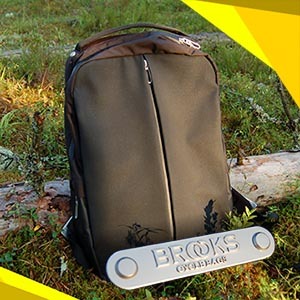 The reason is simple, you can leave it securely attached to your bike so nobody can easily take it. Thousand claims that they replace your helmet if it gets stolen. You don’t need to register for any program either. Although, you will have to send them a claim. Either way, I hope that your helmet doesn’t get stolen! 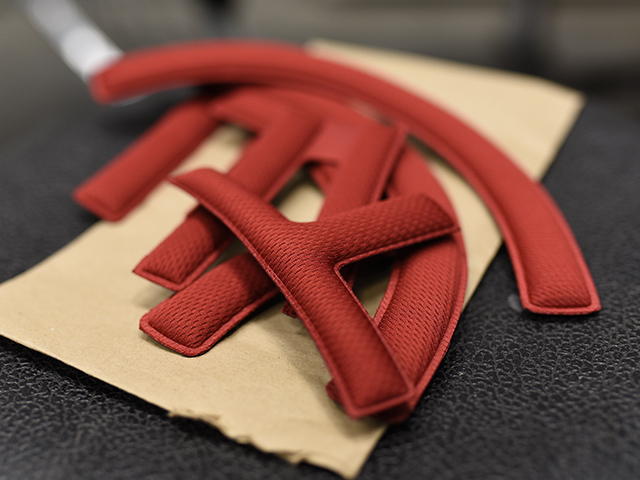 The attaching system is basically a well-designed and thought out magnetic buckle. You can attach and detach it easily, but it still does what it should do in critical situations. I was skeptical at first and thought of some safety issues. However, when making my helmet-on-head tests, the buckle didn’t open. My tests included pulling from different angles and creating forces to try and mimic a crash. Even though the buckle worked, just for the peace of mind, the magnet should be little-bit stronger. Special package with thicker pads for a better fit. Comfort & Fit – Mine was a little bit larger than I expected. 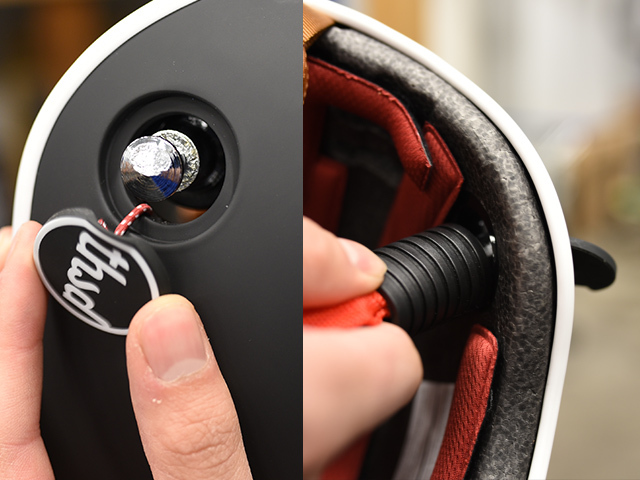 Also, the fit is slightly different compared with traditional helmets where you can make big adjustments by turning the knob behind the neck. I got my fit better by adjusting the straps on the helmet. 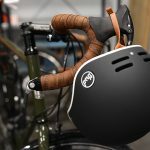 RESULT – YES you can get the right fit, but it’s still different compared to traditional helmets. Magnetic lock – I was suspicious at first but then tested it out. I got the right fit and then shook, pushed, and pulled the helmet and straps to see what it did. It held well against different forces and angles. Don’t take this too seriously though because it was a “home-made“ test, and in real life situations, everything can go differently. RESULT – Magnetic lock held up nicely and gave me peace of mind. I would still have more if the magnets were stronger. PopLock & different locks – Thousand state that they tested it with different U-locks and cable locks. 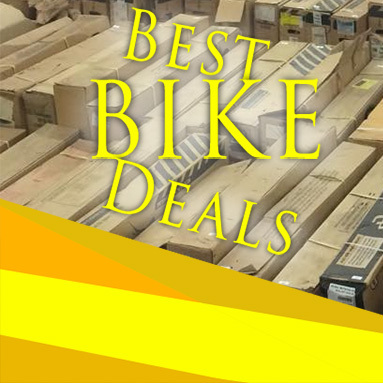 We tried at a local bike shop with the locks we found. It didn’t fit to one chain lock. 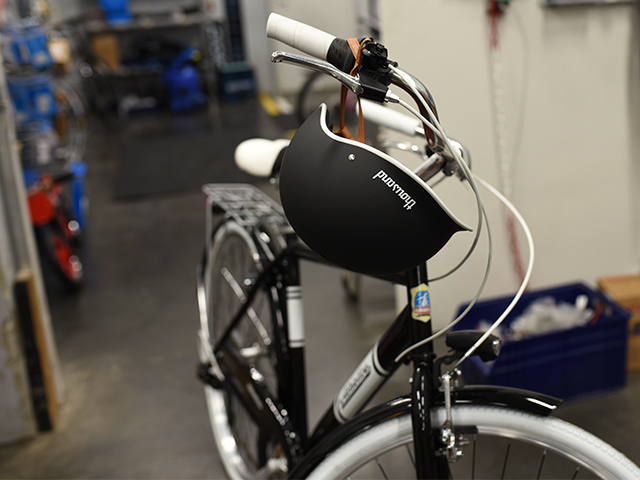 RESULT – It fit every lock we tested!Note: Always use strong locks! Cheap thin cable locks take a matter of 5 seconds to cut through. 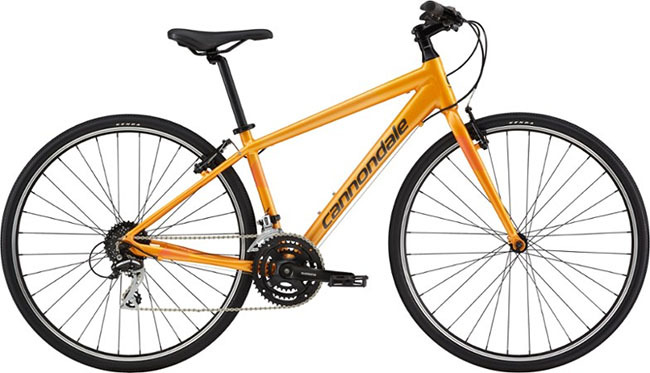 You want to find a sturdy chain lock for example. 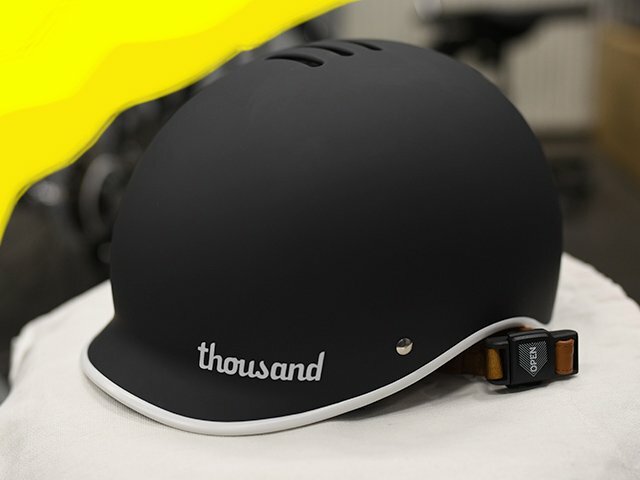 There are three different sizes of Thousand’s helmets – Small, Medium and Large. If you’re between two sizes, pick the smaller size. You can find the proper fit by replacing the padding with included thicker padding. Small weights 410 grams, Medium 450 grams, and Large 490 grams. Doesn’t work with chain locks that have a wider neck than 26mm. All the helmets meet the CPSC and EN 1078 standards. The first one is Consumer Product Safety Commission. Since the production is in China, they need permission from CPSC that their helmets meet all of the safety requirements. 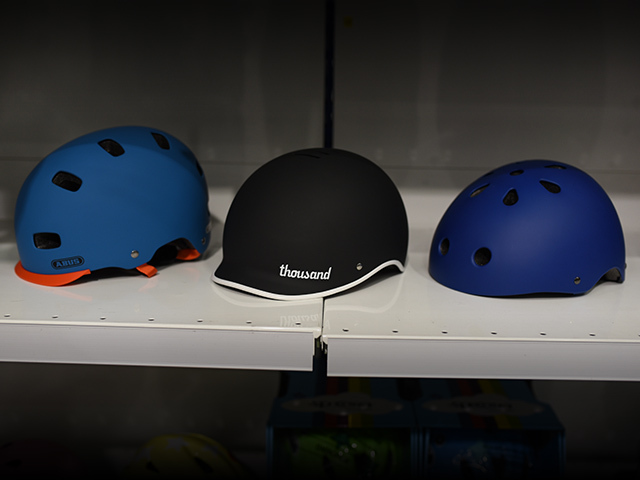 The EN 1078 standard is entitled as helmets for pedal cyclists and for users of skateboards and skates. To get this standard they do several tests: field of vision, shock absorbed, retention system properties, and fastening devices. 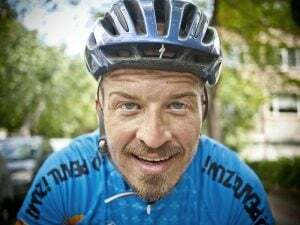 Helmets have only one purpose – to help prevent injuries. If you have a crash and hit your helmet, always replace it. Even when the helmet looks fine, the overall structure might not be. It’s the foam plastic structure that takes the impact. Thousand definitely have their own niche and they fulfilled it nicely. There’s a story behind it, and that works. Would I wear it daily? Nope, because it doesn’t fulfill the purpose I need on my mountain or road bike rides. Would I wear it for commuting around in town? Probably yes. The components are decent and it looks nice from every angle. When choosing it, keep in mind that it is slightly smaller than it really is, so when in between sizes, pick the smaller one. One thing they should improve is the size so children can wear these helmets too– I think that all the kids should wear helmets! Please Thousand, do it! I hope that more and more people start to use helmets, and Thousand is helping to take a step towards this. Thousand’s helmets looks nice with the minimalistic style. It’s something that can lead to you explore with Thousand.